After a long “Missing in Action” phase, thanks to the really slow internet connection in my college, yeah, I’m back again! *Wide Wide Grin* I really missed you all and hopefully the feeling was well reciprocated. The past fortnight was spent in Sikkim (more chilling than studying) as I was in college for my final year project submission. As serious as it may sound, it was more of a fun vacation and a reunion. 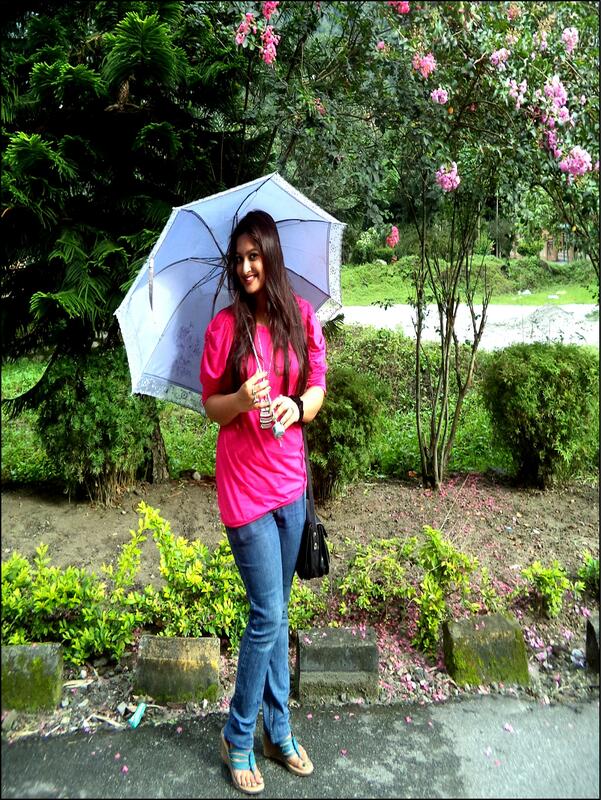 The weather was just perfect with occasional spells of rain. The picturesque cloud laden mountain was yet another sight, not to mention the bunch of pink flowers on the trees. As much as I complain about my college, I must admit the last four years were spent in nothing less than heaven. This place is right outside our hostel, and now I realize how badly I am going to miss this place. The distant waterfall gorging down the opposite hill, river Teesta flowing down the valley and all these beautiful flowers. But every good thing must come to an end. These four years in heaven are over and sooner or later I have to accept it. Coming to these pictures, they are clicked by my darling friend Madhurima while I kept posing with an umbrella in the sun. This is usually how I dress ( or dressed 😦 ) for college. 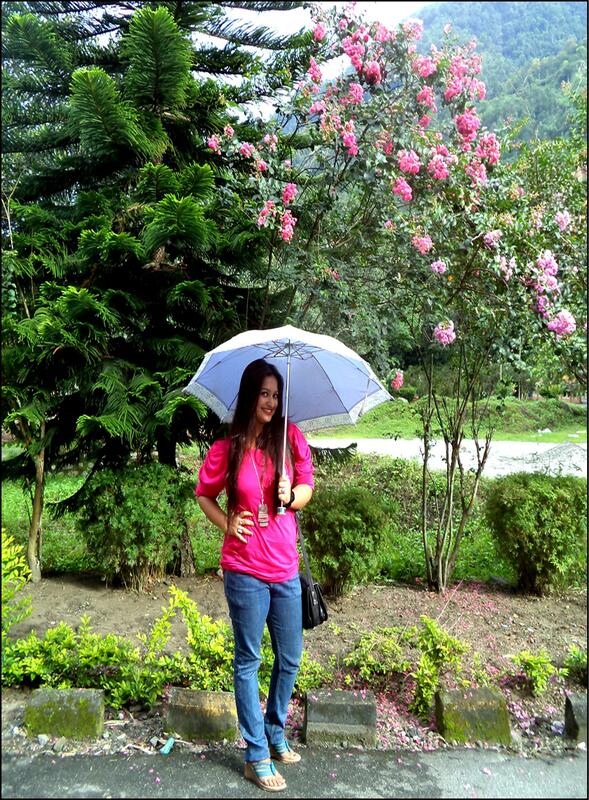 Weather in Sikkim is so pleasant, quite unlike Kolkata, that one even feels like dressing up on a regular basis. Time to sign off now. Got loads to catch up on with my parents after so long. Keep following my blog for a super stylish post about a day out with my girlfriends. Till then, keep smiling and stay stylish. Have a great Sunday.